If you have any questions about the Rodriguez 42 information page below please contact us. 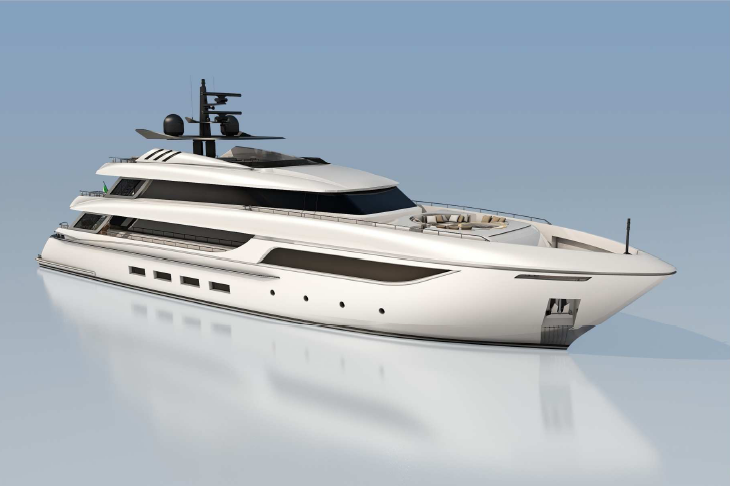 With a launch in 2013, the 41.6m luxury motor yacht Rodriguez 42 is a wonderful fast aluminium displacement vessel, constructed by the respected Italian builder Rodriguez Cantieri Navali Spa. 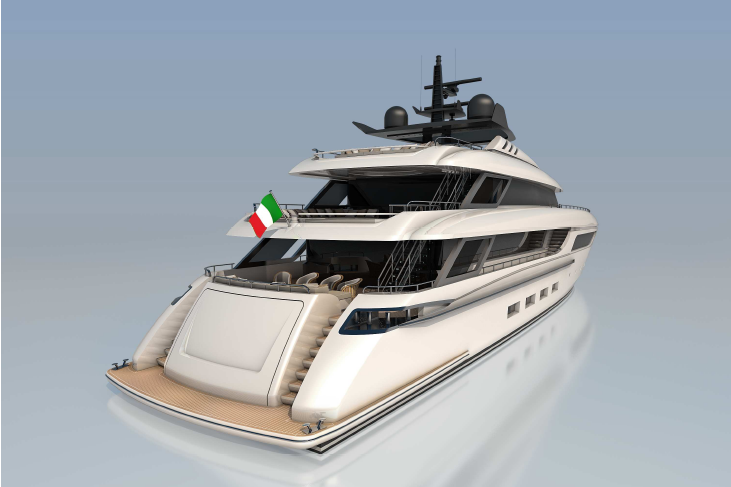 Designed by Canti & Associati Italy, the Rodriguez 42 superyacht represents an exceptional comfort evolution. The 41.6m superyacht Rodriguez 42 comfortably sleeps 12 guests in 5 luxurious cabins. These comprise a master cabin, two doubles as well as two twin cabins. The lower deck offers two additional pullmans. Construction on three bridges permits to benefit from spacious areas for guests, from the sun deck to the aft main deck, up to the elegant lounge area designed on the extreme bow. All-aluminium luxury yacht Rodriguez 42 can reach an impressive cruising speed of 18 knots. 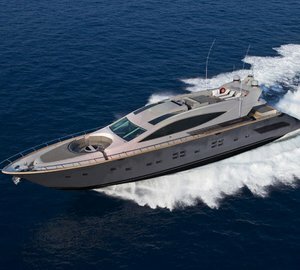 Luxury yacht Rodriguez 42 accommodates 12 guests in comfort. She provides 5 lovely cabins, comprising a master cabin, two doubles as well as two twin cabins. The lower deck offers two additional pullmans. 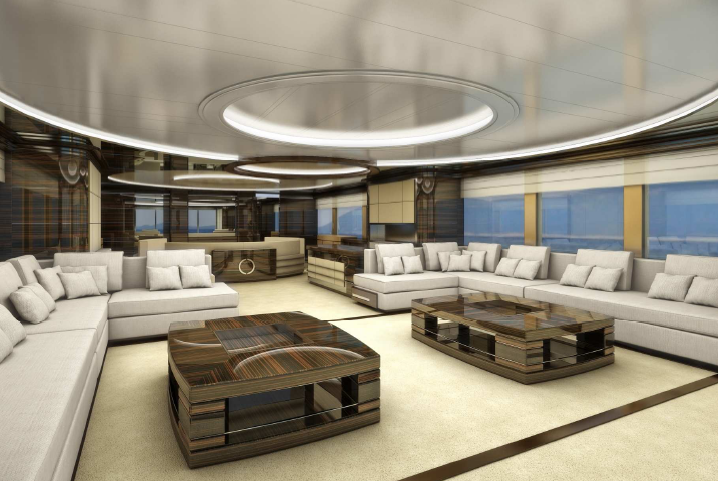 Construction on three bridges permits to benefit from spacious areas for guests, from the sun deck to the aft main deck, up to the elegant lounge area designed on the extreme bow. We do have available further amenity, owner and price information for the 41.6m yacht Rodriguez 42, so please enquire for more information. The luxury yacht Rodriguez 42 displayed on this page is merely informational and she is not necessarily available for yacht charter or for sale, nor is she represented or marketed in anyway by CharterWorld. This web page and the superyacht information contained herein is not contractual. All yacht specifications and informations are displayed in good faith but CharterWorld does not warrant or assume any legal liability or responsibility for the current accuracy, completeness, validity, or usefulness of any superyacht information and/or images displayed. All boat information is subject to change without prior notice and may not be current.